Browse jute-yarn-fabric suppliers by country and region. Short on time? Let jute-yarn-fabric sellers contact you. Oil, milk, rice, sugar, cotton fabric, and textile materials. 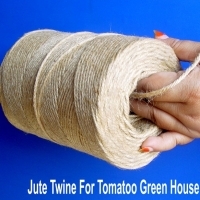 Bengle Jute Twine (Pvt) Ltd.
Bengle Jute Twine (Pvt.) Ltd.
PP and HDPE rope, jute yarn, baler twine. Jute bags, sack bags, heavy cees, light cees, b'twills, binola, shopping bags, wine bags, jute yarns, jute fabrics. Jute yarn, jute bags, raw jute. Jute bags, jute yarn, ropes, clothes, jute twine, jute wills. 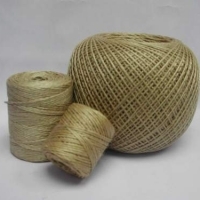 Jute tape, jute rope, jute felt, jute cloth, jute yarn. A) jute yarn, 100% tossa, max. 2% oil contents, precision winding on wooden conical spools size 10" x 10" x 1" / 10" x 14" x 1", each spools polywrapped, 6 / 4 spools per truss and packed in one jute bag. B) jute yarn, 100% tossa, max. 2% oil contents, precision winding on wooden conical spools size 10” x 10” x 1”, 128 spools per pallet. C) jute yarn, 100% tossa, max. 2% oil contents, precision winding on wooden conical spools, each spools weigh about 18 kgs and polywrapped, 4 spools per truss and packed in one jute bag. 1 x 20ft fcl can load15 metric tons. 1 x 40ft fcl can load 26 metric tons. We have been exporting the Jute Hessian Cloth to the whole world for packaging of various commodities, Building construction work etc. a) Quality : Hessian Cloths WIDTH 45” (114 CM) x 11 oz (312 gm)/45”, Porter & Shots: 11 x 12, Plain, Packed: 1000 yards per Bale. Quantity: 1 x 20ft FCL = 50 bales/50,000 yards. b) Quality : Hessian Cloths WIDTH 40” x 10 oz(283 gm)/40”, Porter & Shots: 11 x 12, Plain, Packed: 2000 yards per Bale. Quantity: 1 x 20ft FCL = 32 bales/64,000 yards. c) Quality : Hessian Cloths WIDTH 45” x 9 oz(255 gm)/45”, Porter & Shots: 9 x 10, Plain, Packed: 1000 yards per Bale. Quantity: 1 x 20ft FCL = 60 bales/60,000 yards. d) Quality : Hessian Cloths WIDTH 40" x 7 oz(198 gm)/40", Porter & Shots: 9 x 8, Plain, Packed: 2000 yards per bale. Quantity: 1 x 20ft FCL = 42 bales/84000 yards. e) Quality : Hessian Cloths 45" x 7 oz/40", Porter & Shots: 9 x 8, Plain, Packed: 2000 yards per bale. Quantity : 1 x 20ft FCL = 38 bales/76000 yards.